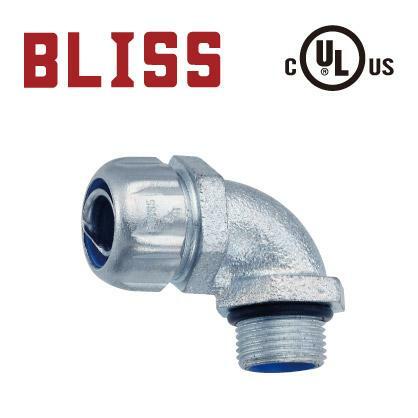 Bliss Yih Enterprise Co., Ltd. is a highly-qualified, Taiwan-based supplier and manufacturer of flexible conduit connector, flexible conduit connectors, and flexible conduit connector supplier (ul/cul liquid tight straight connector - npt thread). 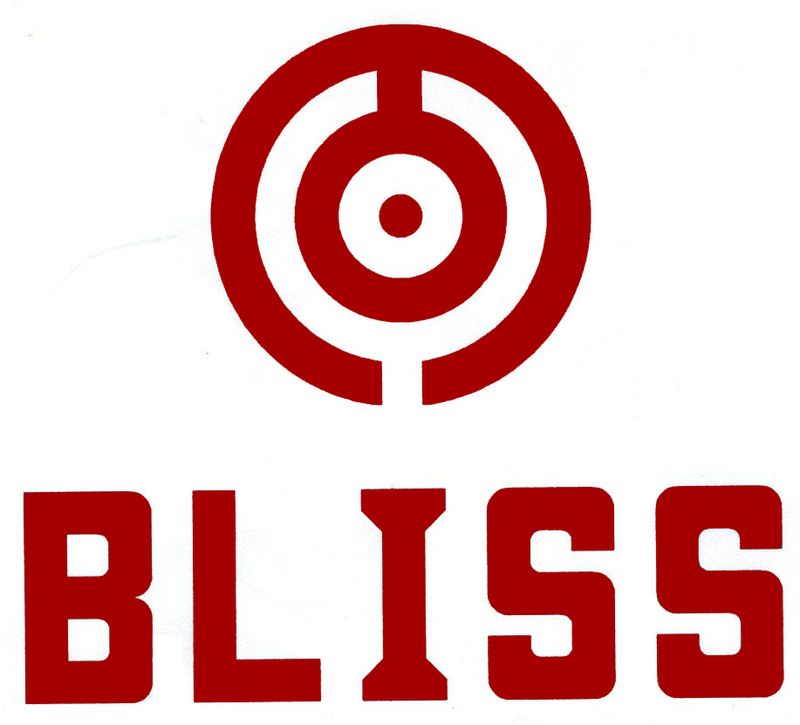 The supplier has been recognized as one of the most professional manufacturers in the construction materials industry since 1978. With both experience and innovation, the supplier is confident of providing buyers with quality ul/cul liquid tight straight conduit connector - npt thread. Flexible conduit connector manufacturer and supplier Bliss Yih provides UL/cUL listed flexible conduit connectors that offer the most reliable performance. 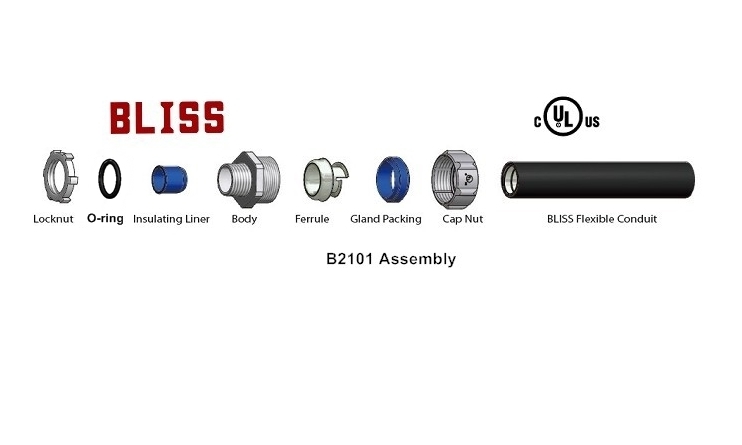 Flexible conduit connectors developed by Bliss Yih come in varieties, such as straight conduit connectors, 45 degree conduit connectors and 90 degree conduit connectors. Bliss Yih also offers customizable flexible conduit connectors with different thread types. Another type no. 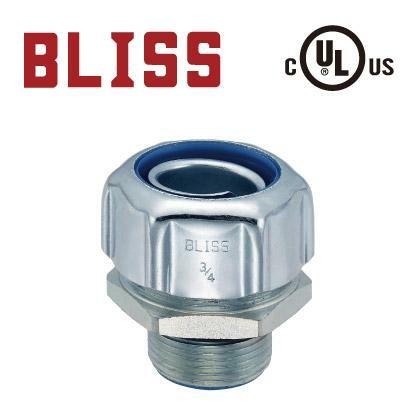 B2111 from 2-1/2"to 4"with PT thread are available.